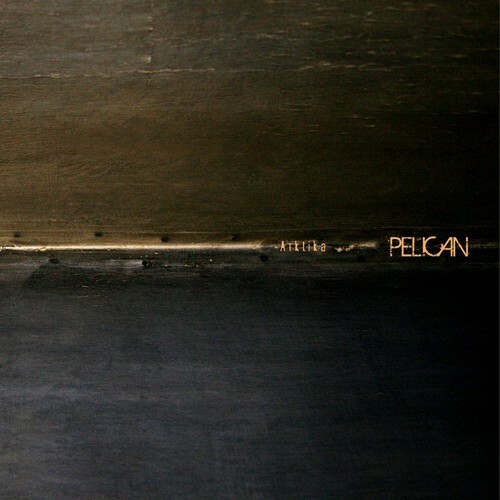 Local sludgy instrumental-postmetal band Pelican have just posted a stream of their upcoming Arktika, a self-released live double LP due out on 8/26. The recording—expertly captured by the band's sound engineer Matt Hannigan at a 2013 show in Russia and mixed in Chicago by guitarist Dallas Thomas—is an hour-long, head-first dive into the rumbling dynamics and wall-of-sound guitars that the band specialize in. The highlight of this excellent recording is the set's finale, "Mammoth," a cut off of Pelican's debut self-titled EP, a groovy bruiser of a track that perfectly showcases the massively heavy riffage and hypnotic repetition that became the band's hallmark over a decade ago. You can pre-order Arktika, which comes in a variety of different colored vinyl, from the band's website right now and the records ship out on the week of 8/12. For the time being you can listen to it in full for free below.